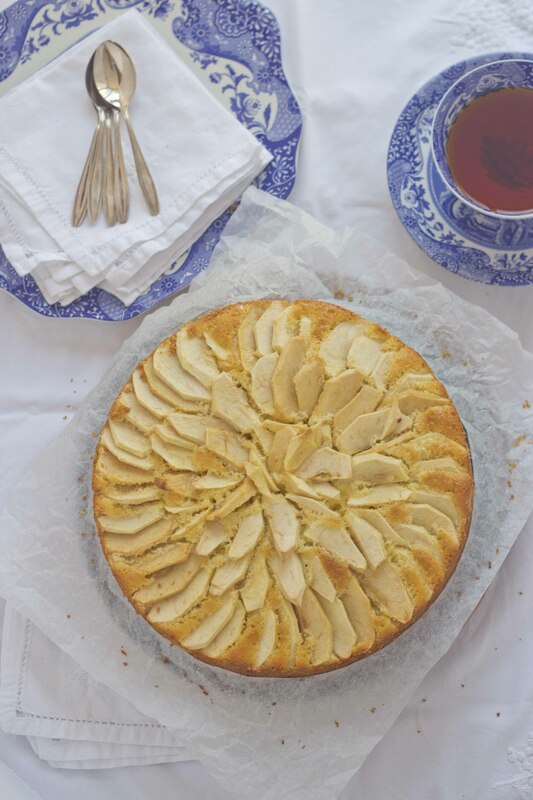 This cake is even better the day after it is made as it absorbs the flavour of the apples. 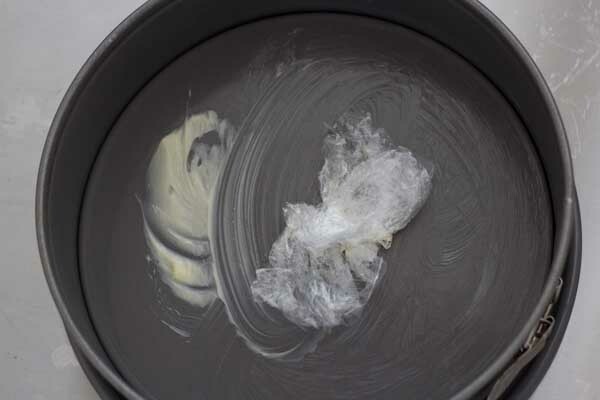 Heat the oven to 185 C. Using 20 grams of butter and some cling film coat the cake pan bottom and sides with the butter. 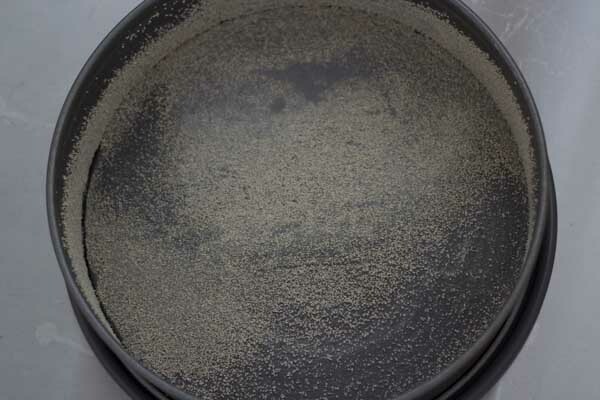 Add the breadcrumbs and shake around over the bin to ensure the breadcrumbs coat the bottom and sides of the pan. Set aside. 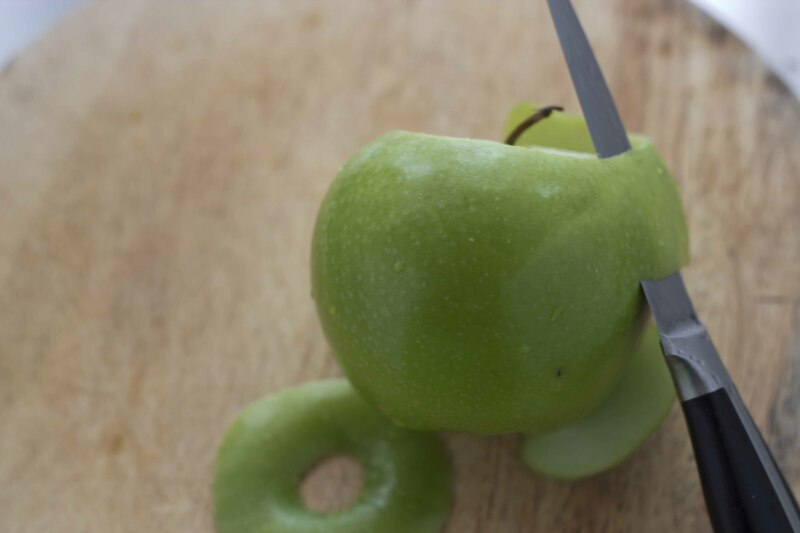 On a cutting board, peel the apples with a paring knife. Core the apple and discard. 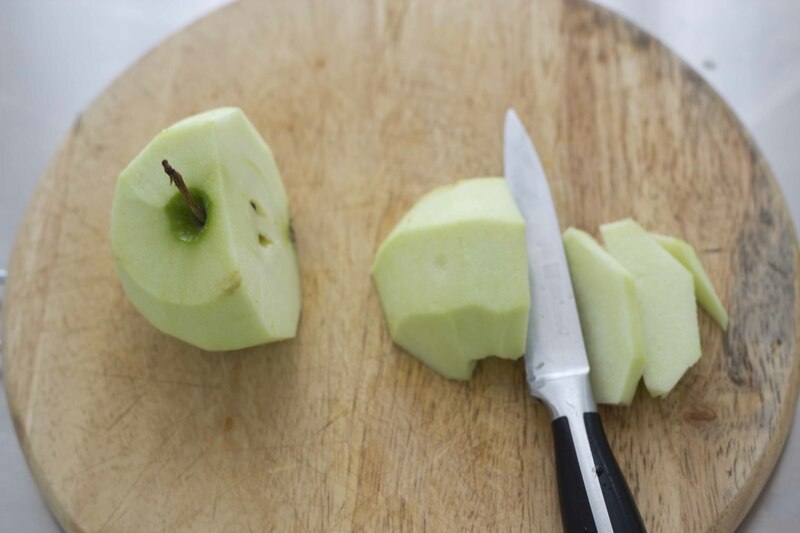 Slice the rest of the apple into 4 mm thick slices. 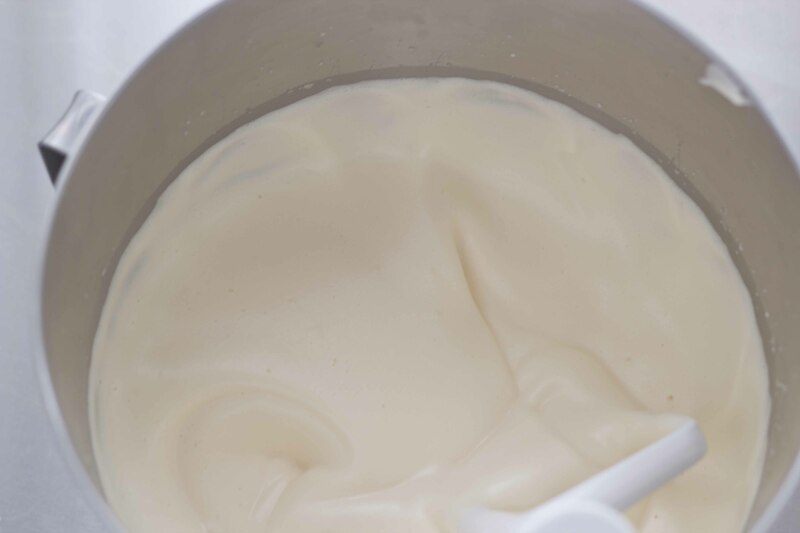 Whip the eggs and sugar over medium low speed with the mixer for 15 minutes or by hand until more than doubled in volume and should look like a creamy mousse. Mix the flour with the baking powder and salt. 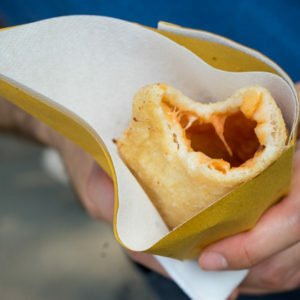 Using a spatula, fold in half of the flour mixture until well incorporated. 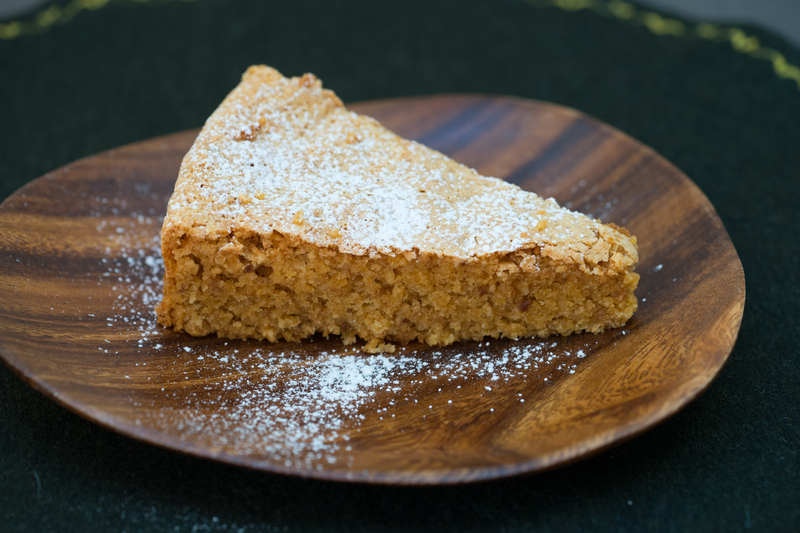 Add the milk and incorporate well. 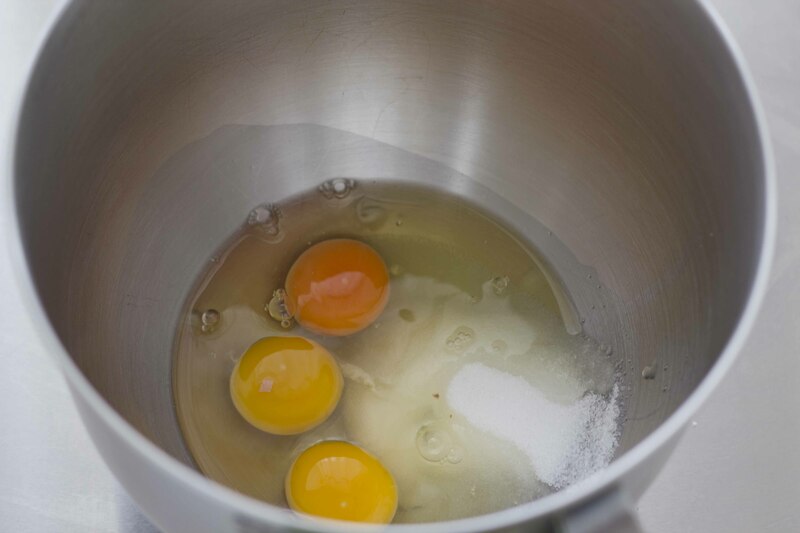 Add the rest of the flour and mix well. 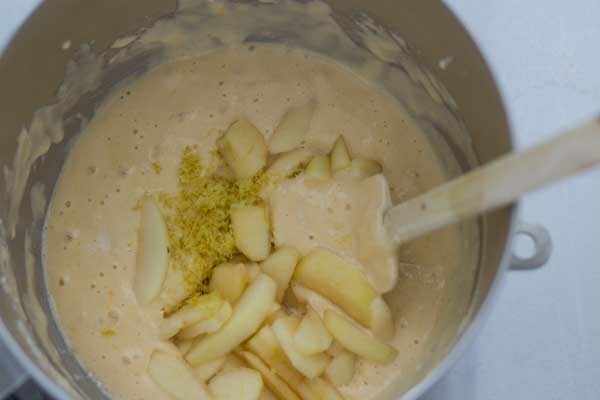 Finally add the lemon zest and half of the apple pieces stirring until fully incorporated. 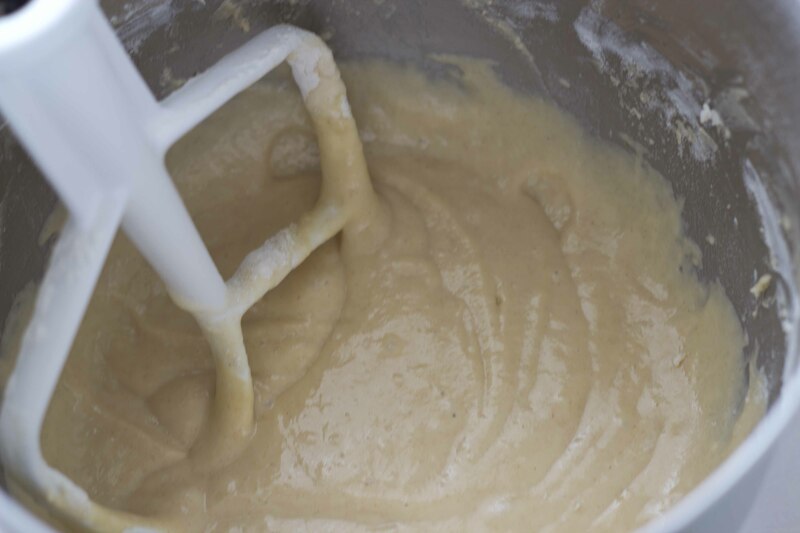 Pour the mixture evenly into the prepared cake pan. 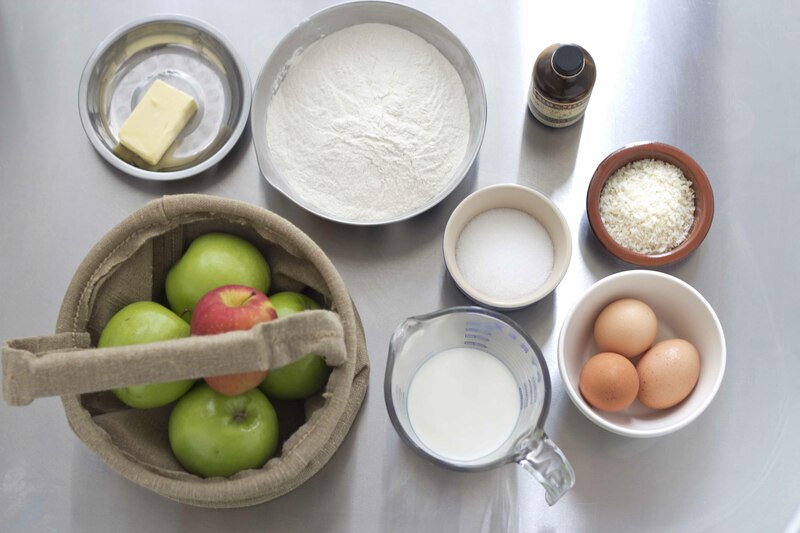 On the top of the cake batter, arrange the rest of the apple slices decoratively, fanning around the outside of the cake and working your way to the centre. 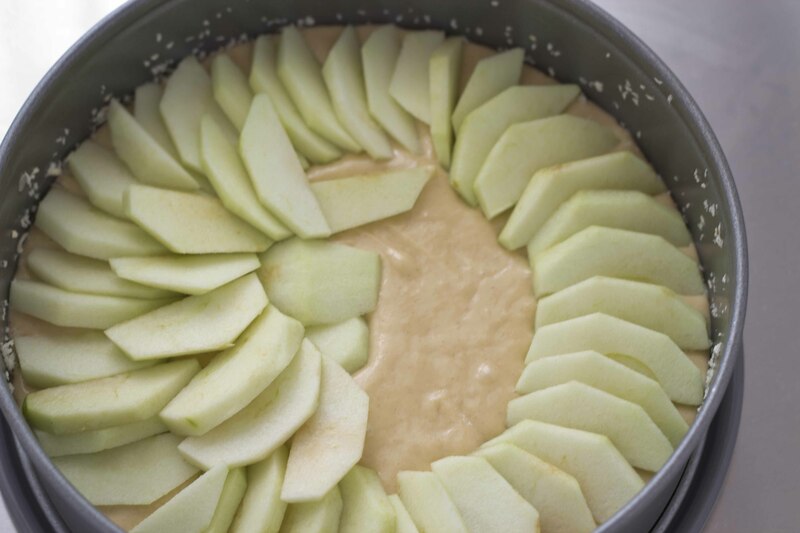 It may seem like too many apples but do not worry, just keep layering them. 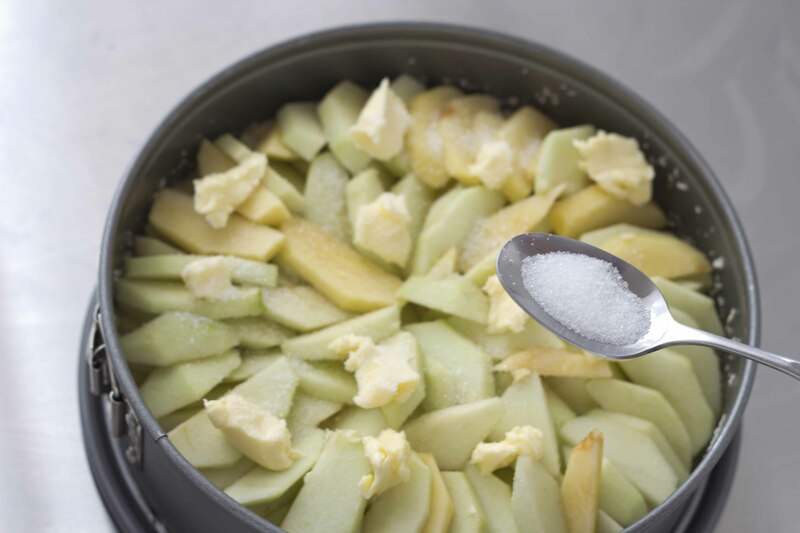 Dot the top of the apples with the remaining 20 grams of butter and sprinkle evenly with the 20 grams of sugar. 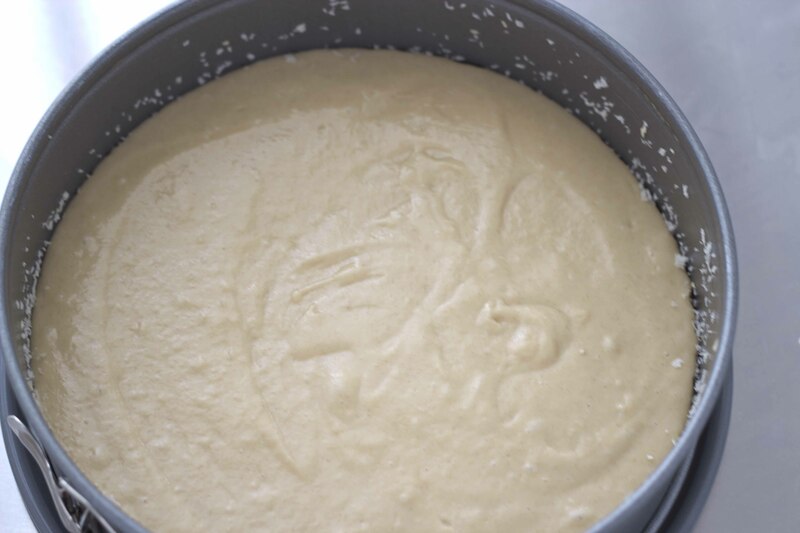 Place in the centre of the heated oven on a wire rack for 30 minutes or until a wooden skewer inserted into the centre of the cake is removed clean. 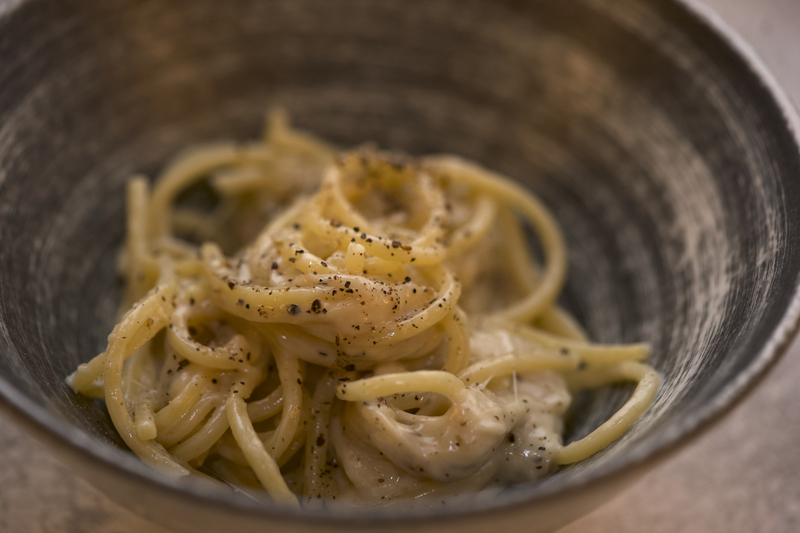 Place on a wire rack to cool and serve.